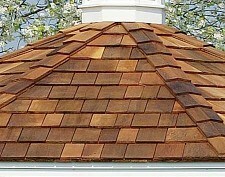 Cedar Shakes would give a home owner who is looking for a beautiful, distinct roof the perfect option. This style of roof has many benefits even if it is the aesthetic appeal of cedar shakes that originally draws most people to it. Among these qualities these roofs are durable, have a high insulation value, are environmentally friendly, and are resistant to wind, fire, and impact. Of course to ensure you are getting these benefits at the highest level you will want to have your roof installed by a qualified roofing company. 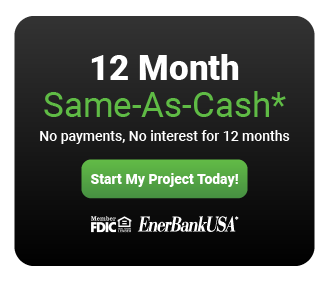 A Colorado Springs wood shake roof is an additional cost investment but, it is definitely worth it for the many advantages that you will see in the upcoming years. A shake, which is different formed differently than a shingle, is made by cutting down and splitting cedar. Cedar is a soft wood, it is found in many places around the globe. Colorado Springs Shakes are available in several different types that each have slightly different styles. Among these styles handsplit, resawn, and tapersawn. Cedar roofs can coordinate well with various different styles of homes. Your roofing company can give you picture examples of your architectural style home with a Colorado Springs cedar shake roof, this will give you an idea of your completed look. Shake can be stained a variety of different colors, this way you can create the tone that you feel best goes with your desired aesthetic. Cedar shakes will weather to a silver grey look if they are left to age in the elements. This is a positive if you ever need to replace broken or damaged shakes. Because there is less of a need to match a batch/factory color with your replacements they will weather to the same tone. One of the natural benefits of cedar is its ability to resist bugs as well as UV damage. It is able to hold up against storm damage from wind to hail. A big concern in the cold north is damage caused by freezing and thawing. Since cedar is a natural product it does not have layers to separate and delaminate under these conditions. This makes it a ideal product for cold weather. Cedar shakes, unlike other roofing materials, naturally insulate your home. What does this high insulation value do for you? It will reduce the amount of energy you need to heat and cool your home throughout the year saving you money. Wood is a recyclable, biodegradable and renewable resource. Efforts are made to harvest and process Cedar in an environmentally friendly sustainable way. This isn’t true with products that use petroleum. Forests are being managed more and more effectively. Meaning that trees that are being used from forests are actively being replanted. Remember wood is one of the earth’s very few renewable building materials. A roofing company that properly installs your roof can put on a roof that can withstand hurricane force winds. Wind storms should cause very minimal loss of shakes. Shakes will have very little shrinking and splitting over their lifetime and should remain flat. Cedar may be wood but it can still be fire resistant. A fire resistant chemical is used by many manufacturers; this makes them safer than other wood shingles.